For cellist Matt Haimovitz, everything is chamber music. 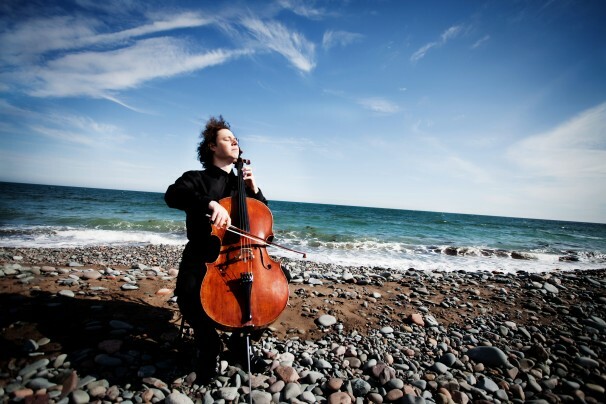 Haimovitz has made a name for himself in the solo world, which can be more challenging for a cellist than a violinist. His childhood friend, violinist Pamela Frank, has her own prominent solo career, having traveled the world to appear with the Berlin Philharmonic Orchestra, the Orchestre de Paris, the New York Philharmonic and the Boston Symphony Orchestra, among others. Although the two went to different high schools in New York City, they were connected through their music. Still partying, Haimovitz will join Frank and violist Nokuthula Ngwenyama and violinist Andy Simionescu to perform at 4 p.m. today in Elizabeth S. Lenna Hall as part of the Logan Chamber Music Series. Although solo careers have separated the friends, they now have the perfect excuse to reunite a few times per year within their careers. Because of the comfort afforded when playing with friends, the musicians are more open with one another, their rehearsals more straightforward, Haimovitz said. The concert’s program will begin with a Haydn quartet — a composer Haimovitz believes to be underrated next to Mozart and Beethoven — and end with a Beethoven quartet. The two quartets bookend two more modern pieces: A trio by Gideon Klein, and “Tiituri for Violin and Cello” by Romanian composer Adrian Pop. Although the quartet will play Haydn and Beethoven, Haimovitz considers the program, in some ways, to be quite contemporary. Haydn, despite living in the 18th century, was an innovative composer. There is a reason so many string quartets combine modern with classic. In an effort to keep tradition alive, artists look to composers such as Haydn and Beethoven. But there are composers alive today that continue their tradition. The music may seem at odds, but the pieces complement one another. Haimovitz said in this case, artists aren’t moving forward, but looking back. The idea of knowing music’s vernaculars and incorporating those into the compositional process has been around for a long time, Haimovitz said. The concert opens with Haydn’s String Quartet in D Major, Op. 20, No. 4. Klein, a Czech composer and pianist, died at age 24 in the Holocaust. His String Trio was one of the last pieces he wrote while in the concentration camp at Theresienstadt, where he helped to keep a small level of cultural activity alive. A piece in three movements, the second movement reveals the pathos and hopelessness, while the two framing it are lighter and perhaps ironically playful, Haimovitz said. Following the Klein trio is Pop’s “Tiituri for Violin and Cello.” After Haimovitz and Simionescu found out they had Romanian backgrounds, they commissioned the piece that incorporates Romanian and Hungarian folk styles. The quartet premiered the piece in New York City two years ago. The concert closes with Beethoven’s String Quartet in F Minor, Op. 95, “Serioso.” The piece falls at the end of his “Heroic,” or middle, period and is a window into later, more personal Beethoven, Haimovitz said. Because Beethoven took steps in deconstructing the established 18th century norms of writing, Haimovitz said he considers him the first modernist composer.